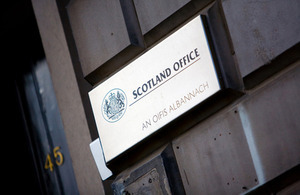 Opt-outs from EU border rules and the Euro which the UK fought hard to negotiate would be back on the EU negotiating table if Scotland became independent, Scottish Secretary Michael Moore said today as he visited Brussels. Mr Moore stressed that the outcome of any negotiations would be far from certain and that Scotland would no longer enjoy the negotiating clout that comes from being one of the EU’s largest members. “I am here in Brussels making the case for Scotland as part of the UK. We speak with a strong voice as part of one of the largest EU countries. “Our negotiating clout has delivered the UK and Scotland important opt-outs from EU border controls and the Euro currency. If Scotland was to become independent then these benefits and everything else would be up for grabs as we embarked on negotiating a whole new set of terms with the rest of the EU. The outcome of these negotiations would be far from certain. What would be certain is that Scotland would be negotiating from a much weaker position having lost the clout that comes from being part of one of the largest EU members. “John Swinney said today that Scotland would have to negotiate the details and terms of Scotland’s EU membership. What we really need to know is how they will sort out the Schengen agreement? “How will they negotiate an opt-out from the Euro? No new member state has joined since 2005 without a clear commitment to join. The Scottish Government cannot wish these problems away.